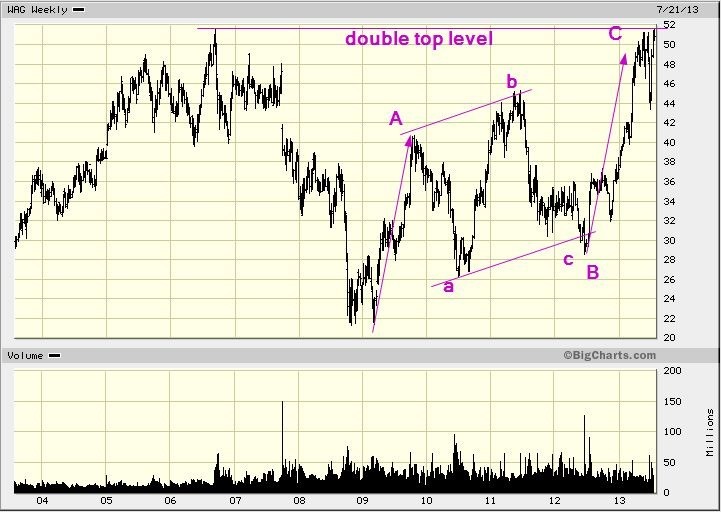 Yes we got this one badly wrong thinking the B-wave was done mid 2011 at about $44. Instead our friends at the Fed. and the plunge-protection-team, managed to extend the whole process by a full two years and another $8 ($52-$44). The interesting moral of this story is that despite being dead wrong it is nevertheless often possible to have a better result by actively trying. 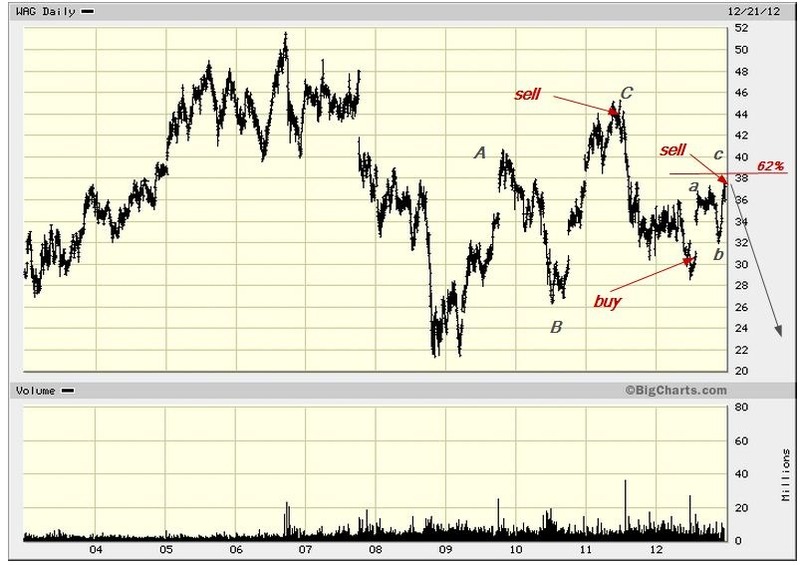 In this example (see previous blogs) we have a sell at $44, a buy at $31 and again a sell at $38. That equates to a gain of $20 over a year and a bit. Had you held the position from b onward you would now have a gain of $8 over a period of two years. Being active would have given a return roughly twice as good as staying put! 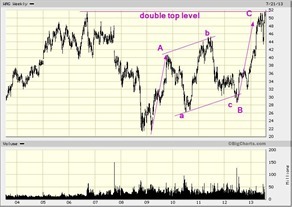 Now that the stock is back at the double top level (twice already! 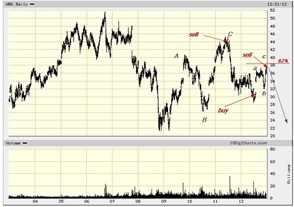 ), it is definitely a sell, even if you are only just breaking even from seven years ago.